"Cliffing (scarping) of the seaward margins of coastal dunes and the absence of new fore dunes (or the formation of new fore dunes lasting at most a few years) is very widespread around the world’s coastline, a consequence of the modern prevalence of beach erosion." dania beach, sw 3rd st.
That's my car wash to the right, my dry cleaners, Flo-Mar, straight ahead. One of my characters lives in the apartment at the top of the stairs. 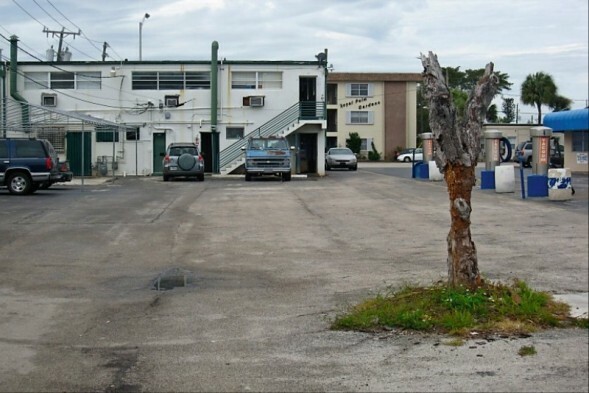 In the foreground, the saddest tree in Dania Beach.